Well into the nineteenth century, massive bison herds of 100,000 or more individuals roamed across North America. They were an important force upon the ecosystems around them: wallowing, grazing, and popping their way across the landscape. There are lakes dotted across the west with names like “Chip Lake” or “Buffalo Lake” – warnings on European maps not to water your horses there as bison had passed through and fouled it with dung. I read one account of a railway company that had two locomotives derailed by bison in one week. They were a force to be reckoned with individually (a bull bison can weigh as much as a small car) and in large numbers they were nigh unstoppable. 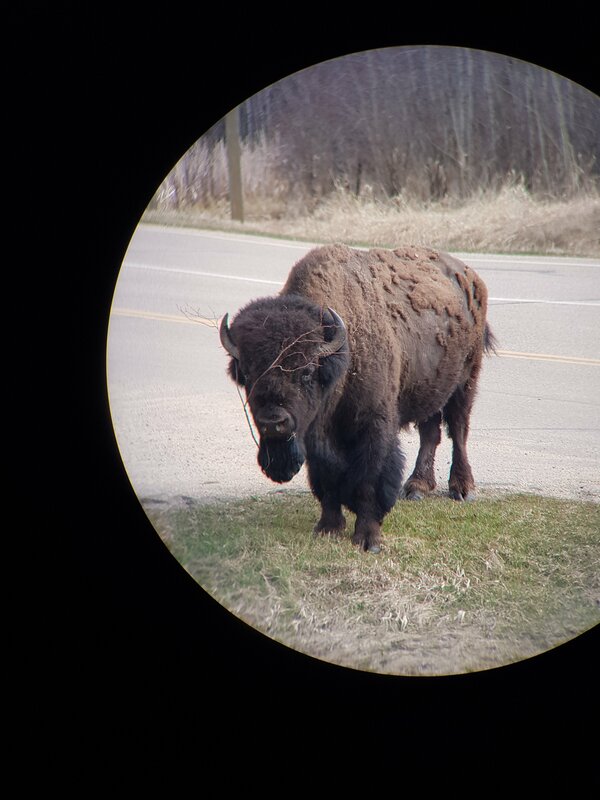 This stubborn bull bison is just shedding his winter fur and needs a good scratching post. Photographed at Elk Island National Park in May 2017.